Last Thursday, the CARERS Act was reintroduced in the Senate . US Sens. Rand Paul (R-KY), Corey Booker (D-NJ), and Kirsten Gillibrand (D-NY) reintroduced a bill that would end the federal prohibition of medical marijuana. Sens. Mike Lee (R-UT) and Lisa Murkowski (R-AK) also signed on to the legislation as original cosponsors. The Compassionate Access, Research Expansion, and Respect States (or CARERS) Act of 2017 would allow individuals and entities to possess, produce, and distribute medical marijuana if they are in compliance with state medical marijuana laws. It would also open up avenues to medical marijuana research and allow physicians employed by the Department of Veterans Affairs to recommend medical marijuana to veterans in states where it is legal. The bill also proposes excluding cannabidiol, a non-psychoactive cannabinoid found in marijuana, from the federal government's definition of "marijuana." Last Thursday, Corey Booker and Steve Cohen filed identical medical marijuana protection bills . Tennessee Democratic Rep. Steve Cohen has filed House Resolution 2920 , "to extend the principle of federalism to drug policy, provide access to medical marijuana, and enable research into the medicinal properties of marijuana." New Jersey Democratic Sen. Cory Booker has filed a companion bill, Senate Bill 1374 , in the upper chamber. 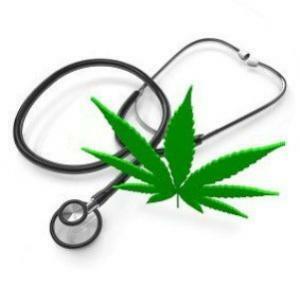 Last Friday, medical marijuana regulations took another key step . The Legislative Council, which serves as the legislature's governing body between sessions, approved draft rules from the Alcoholic Beverage Commission, the Department of Health, and the Medical Marijuana Commission aimed at regulating the state's nascent medical marijuana system. The state will begin accepting applications for licenses to operate marijuana cultivation centers and dispensaries June 30. Last Wednesday, a lawsuit challenging the state's medical marijuana ban was filed . Three Kentuckians who say they have used marijuana to ease health problems have filed a lawsuit in state court charging that banning medical marijuana violates their constitutional privacy rights. The suit names as defendants Gov. Matt Bevin (R) and Attorney General Steve Beshear (D). Last Thursday, lawmakers filed bills to ban medical marijuana billboard ads . State Sen. Rick Jones (R) and Rep. Andy Schor (D) have filed identical bills that would effectively ban billboard for medical marijuana businesses. The bills are Senate Bill 463  and House Bill 4767 . They are not yet available on the state legislative web site. Last Friday, the state nixed medical marijuana for opioid addiction and Alzheimer's . Rejecting the recommendation of the state Medical Marijuana Advisory Board, Secretary of Health Lynn Gallagher declined to add opioid use disorder and Alzheimer's as qualifying conditions for medical marijuana. On Tuesday, the Senate approved medical marijuana for PTSD . The state Senate voted to approve Senate Bill 6092 , which allows medical marijuana to be used to treat PTSD. The Assembly passed an identical measure earlier this year, so the bill now goes to the desk of Gov. Andrew Cuomo (D). Last Thursday, the governor warned Attorney General Sessions not to interfere with medical marijuana . In a sharply worded letter, Gov. Tom Wolf (D) warned Attorney General Jeff Sessions not to interfere with medical marijuana in the state. "For a lot of patients, this is the only medicine that works. So for him to go after medical cannabis is kind of flying in the face of science and the facts," said a spokesman for the governor. On Tuesday, the state issued the first medical marijuana permits . The Department of Health on Tuesday announced 12 medical marijuana grower permits, with the permits going to two companies in each of the six permitting regions the department established as part of the implementation of the state's medical marijuana law. The department will announce the allocation of 27 dispensary permits before the month ends, it said.